With over 35 years in the caravan industry, Central Coast Caravans have seen nearly all of the major variations in caravan layouts and fit outs. Finding that perfect layout can be extremely difficult and frustrating. Rather than updating your van maybe it’s time to consider renovating your van. 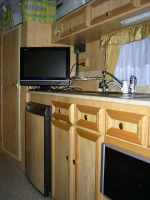 Here at Central Coast Caravans, we can bring your renovations to life. Over the years, we have carried out numerous renovations to caravans including, lounge reconfigurations, from L shapes to cafe style, bathroom instalments cupboard alterations and bedding reconfigurations, from double to single to complete refits on older caravans. customers can testify to that. This is why we can now proudly claim to be the longest serving caravan repair workshop on the coast. 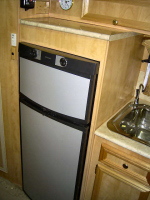 We started repairing onsite caravans 25 years ago under the name Raydon Caravans. It’s through this “maintenance” style of work that we perfected our techniques and realised which materials are the very best to use. 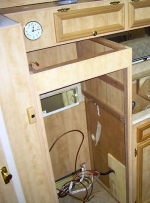 The repair of caravans and pop-tops and camper trailers is our primary source of work and something we very much enjoy doing.